Many of you know Ed Harpring, one of our faithful Helpers and the Coordinator of Pro-Life Ministries for Archdiocese of Louisville. We have gotten Ed’s permission to reprint his journey to D.C. and the March for Life this year. So sit back and enjoy the ride. 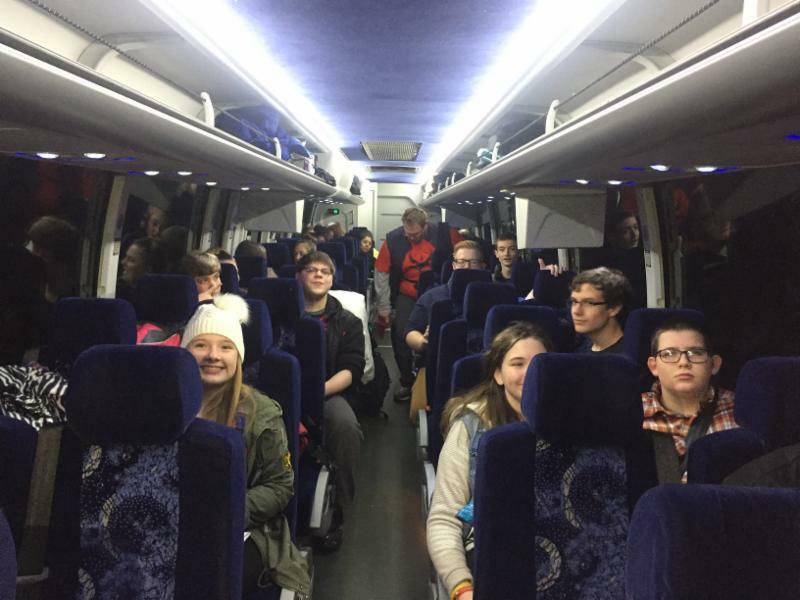 Five busloads of high schoolers from the Archdiocese of Louisville participated in the annual the March for Life! 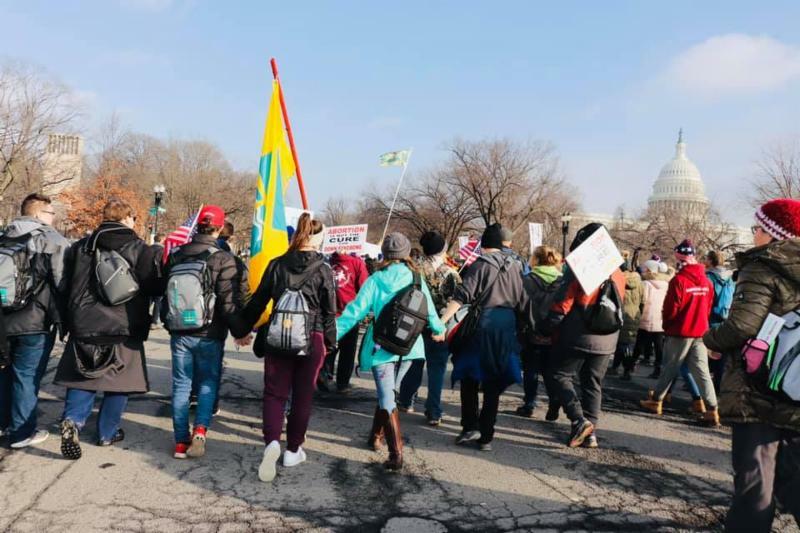 The March exemplified the elements of a Pilgrimage – a faith-filled journey with a religious purpose. Our pilgrimage was truly a spiritual journey, but not without struggles, such as students’ luggage dropping out of the side storage bin of the bus (that was not closed properly) onto the highway as we were traveling to Washington D.C. On the return trip, we encountered, snow, ice and blizzard conditions that were treacherous enough to cause several semi-trucks and cars to skid off the side of the road. And that’s not all, one of busses broke down causing us to scramble to find hotel rooms for 45 students and chaperones until a replacement bus arrived. Despite these misadventures, our Pilgrimage was blessed in many ways. 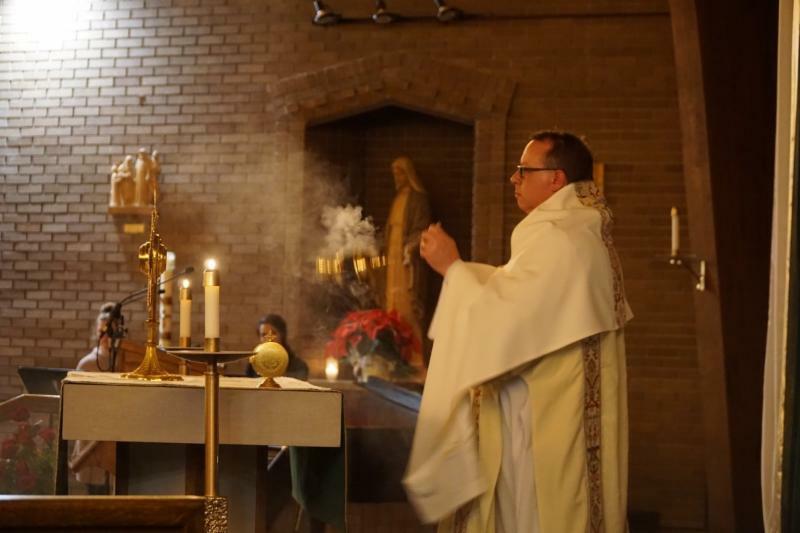 Our Holy Hour included Liturgy of the Word, and Adoration led by Deacon Stephen Bowling and wonderful musical/vocal accompaniment led by Erik Stearman and young adults for parts of our meditation. On Thursday evening, after an overnight bus ride, we attended the Pro-Life Vigil Mass at the Immaculate Conception in Washington, D.C. The Vigil for Life is always the highlight for me primarily because of the enthusiastic witness for Life of over 15,000 pilgrims (primarily high school students and young adults) packed in wall-to wall in both the main church and the under croft. It is invigorating to be part of the mass with hundreds of priests, bishops, archbishops, deacons, and cardinals, processing in for nearly 30 minutes! “We are concerned about the life and dignity of the human person wherever it is threatened or diminished. The pro-life ethic challenges us to care about the sacredness of every human being throughout the life spectrum. 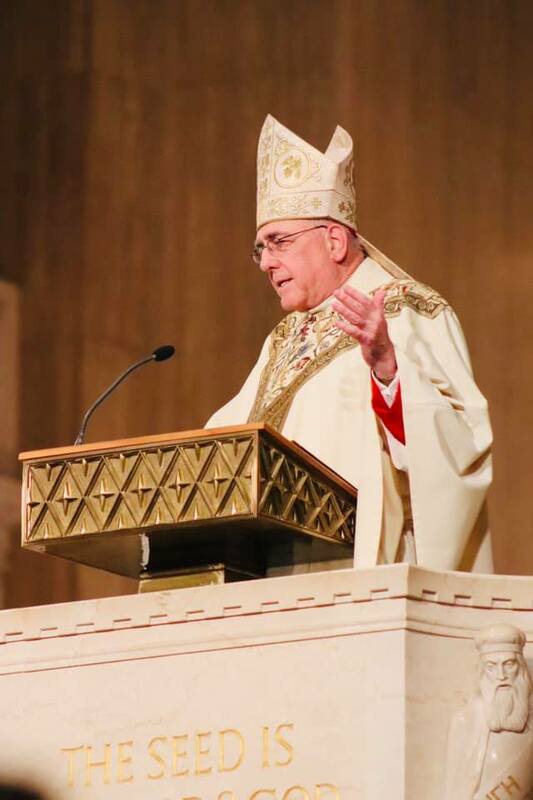 We are called always and everywhere to promote the dignity of the human person,” said Archbishop Joseph Naumann, who is chairman of the U.S. bishops’ conference pro-life committee. 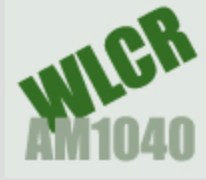 The archbishop concluded by saying that the idea that Pro-Lifers care only about the unborn is “simply not true.” He pointed to the care and work of volunteers who give their time and money to support pregnancy centers and other programs to support pregnant women in difficult circumstances. 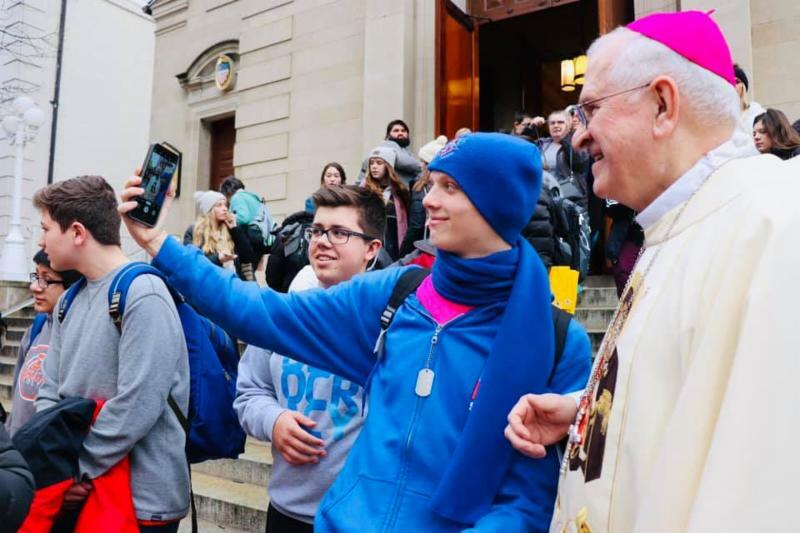 On Friday morning, the morning of the March, we filled Holy Rosary Church in downtown D.C. with nearly 300 teens and chaperones. We filled up the entire church with our Louisville Group. Archbishop Kurtz celebrated Mass and spoke about the importance of being a witness for “Life.” He explained how our actions have lasting consequences if done with God’s grace and have the potential to bring another person to Christ because they see Christ in you. At the end of Mass, we all lingered in the Church with Archbishop Kurtz for lively conversation, discussions among the various school groups, and lots of pictures. After our Mass, with a few hours before the March for Life was to begin, students enhanced their experience with visits to the Holocaust Museum, the March for Life Expo and the U.S. Capitol. 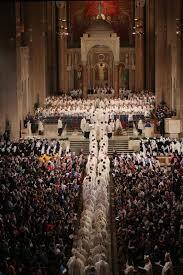 As a body is one though it has many parts, and all the parts of the body, though many, are one body, so also Christ. For in one Spirit we were all baptized into one body, whether Jews or Greeks, slaves or free persons, and we were all given to drink of one Spirit. Now the body is not a single part, but many. In the case of the March, it brings together young and the old, Catholic and Protestant, believers and atheists (Atheist for Life) priests, sisters and pastors, white, black brown skin colors, schools, youth groups, colleges, and religious orders, families and groups of friends. 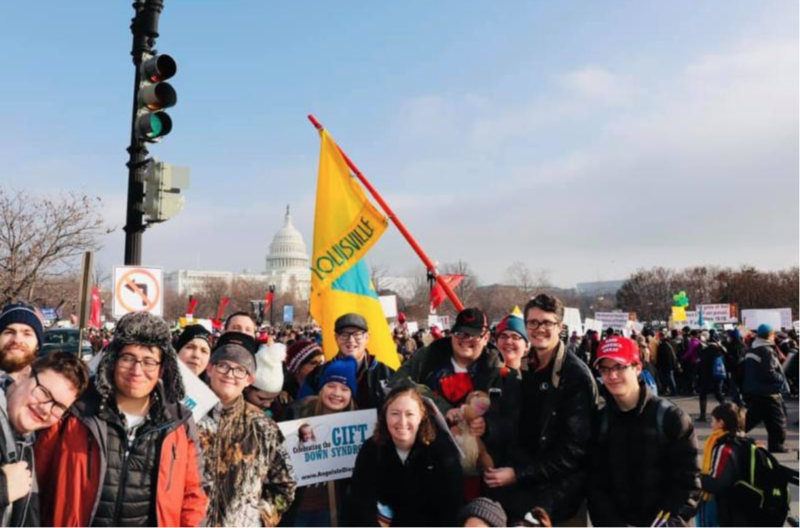 And unlike, other marches, the March for Life is peaceful, joy-filled and even fun. 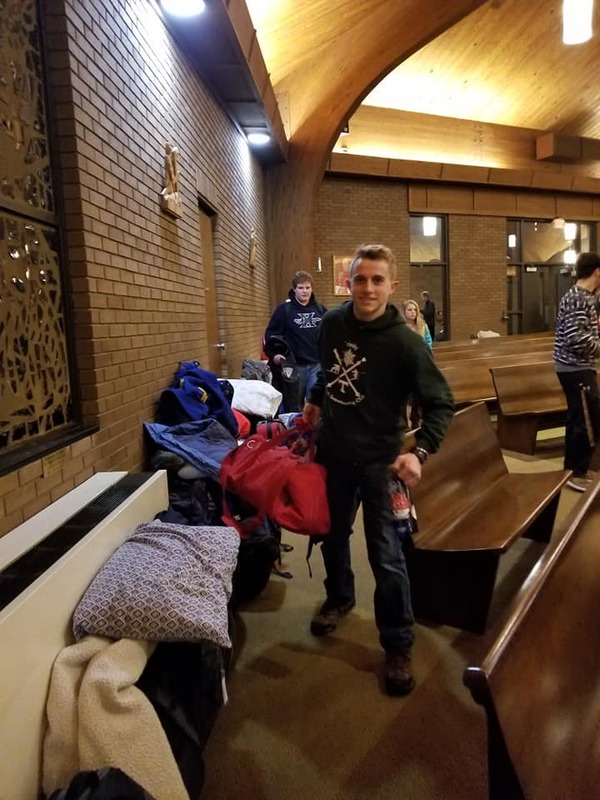 There is an incredible camaraderie among the pilgrims, spontaneous pro-Life cheers, groups joining other groups spontaneously in reciting the rosary of Chaplet of Divine Mercy, conversations with students and parishioners who have traveled 25 hours by bus from all over the U.S., and cheers for school marching bands. Despite the cold of winter and snow everywhere, everyone is upbeat enthusiastic. After all, we are celebrating the Gift of Life. And while we can be cheerful celebrating Life, we realize that our primary purpose is to remain vigilant in standing up for the weakest among us, the child in the womb, so that one day we will make abortion not only illegal, but unthinkable, just as our forefathers vigilantly eradicated slavery in our country. Finally, we attended the Students for Life Conference. 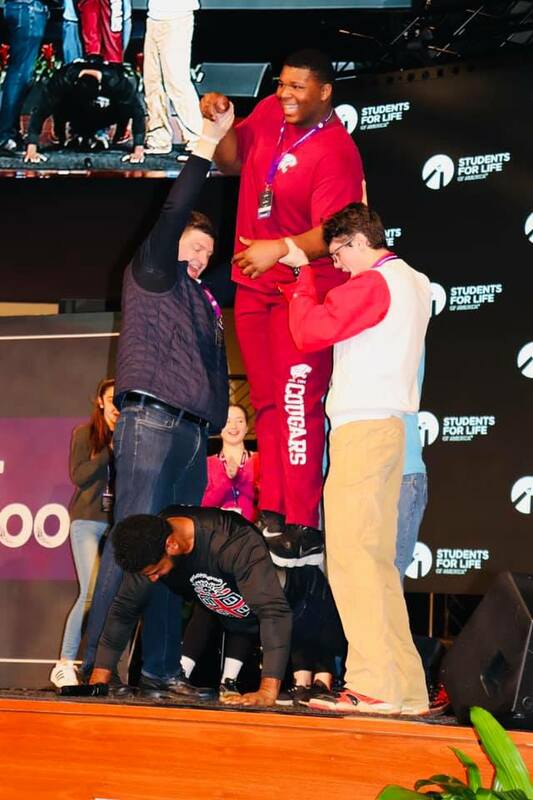 William Green, ex-NFL star, told the students his amazing Pro-Life Story – and exhorted us to remember that faith conquers fear. One of our students (pictured here) allowed speaker William Green to demonstrate a “faith push-up.” Impressive! 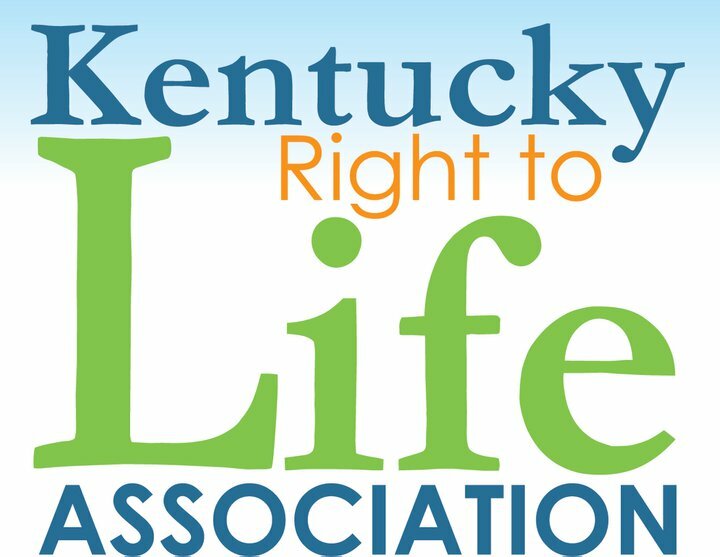 Other sessions that I heard positive comments about included Theology of the Body, Pro-Life Apologetics for High School Students – Advanced Apologetics – and Faith Perspectives on Abortion. Unfortunately, we had to leave the Conference early. Blizzard conditions were stirring up in our area and we made the decision to beat the storm. 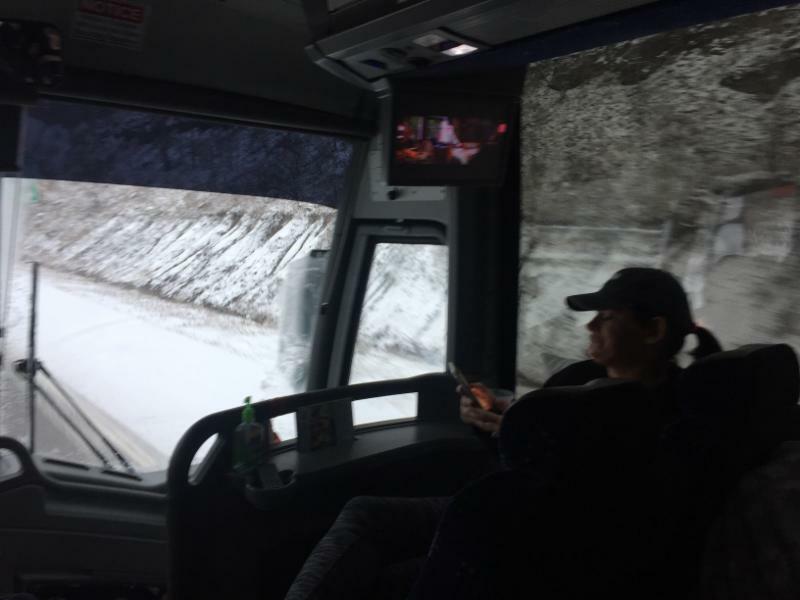 Finally, we headed home, earlier than we wanted, and what an adventure it was through the snowstorm, seeing semi- trucks overturned and many cars off the road, and our bus breakdown. That resulted in an overnight stay on a local hotel while our bus company sent another bus from Louisville to Flatwoods WVA. Thankfully, everyone made it home safely. Our challenge now is to take our witness for Life to our local communities. As we know, as Christians, we are called to practice our faith in and out of season.